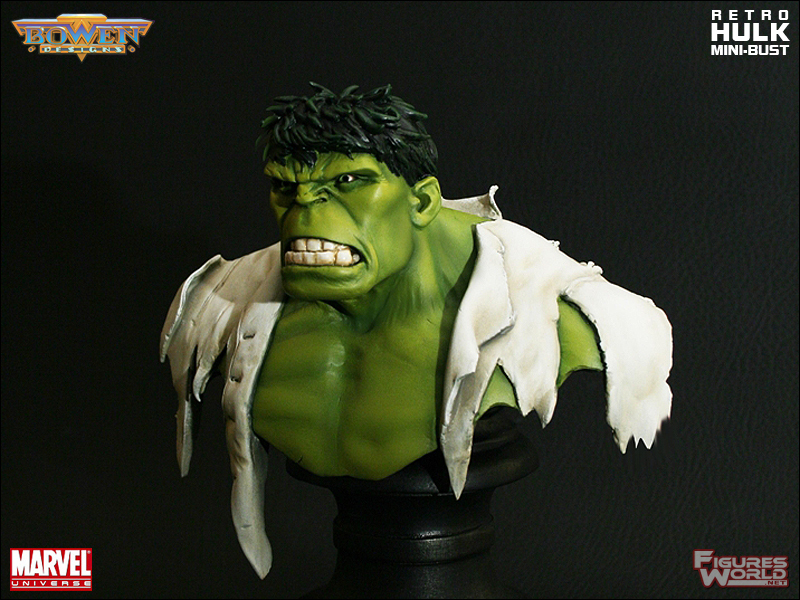 We are proud to present outstanding Marvel statues and busts created by Bowen Designs. 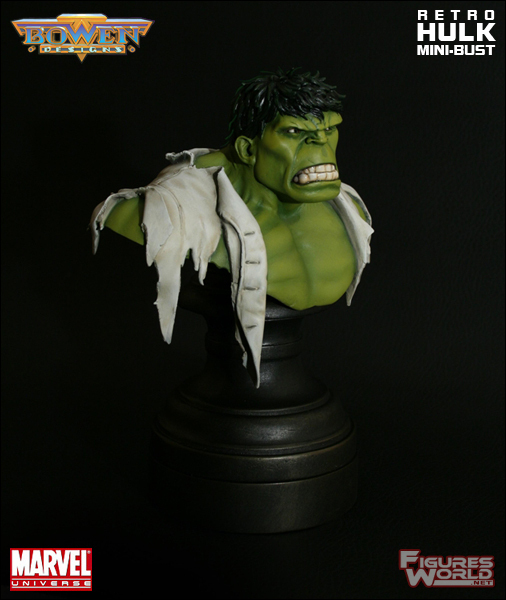 These high-quality, detailed collectibles feature your favorite Marvel characters as they appear in a wide range of comics. 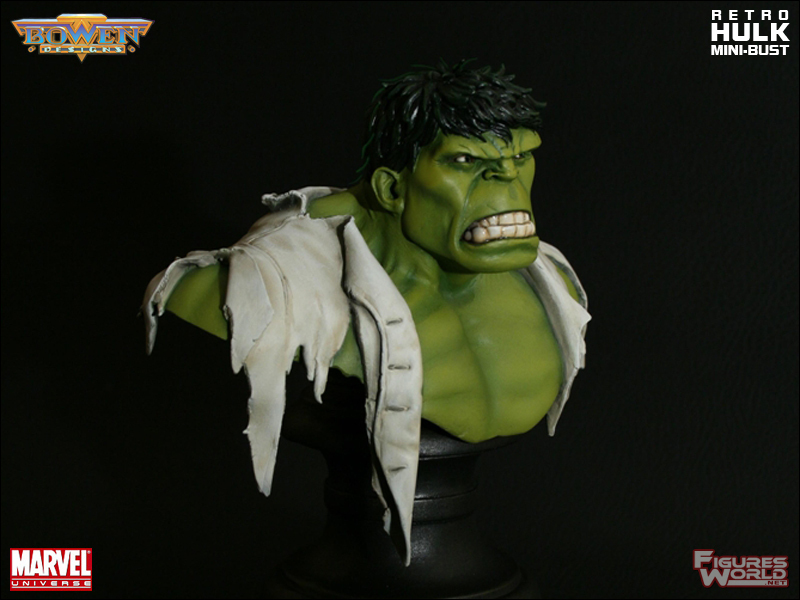 The Retro Hulk Mini-Bust is sculpted here in great detail, intricately crafted and cast in heavyweight polystone. 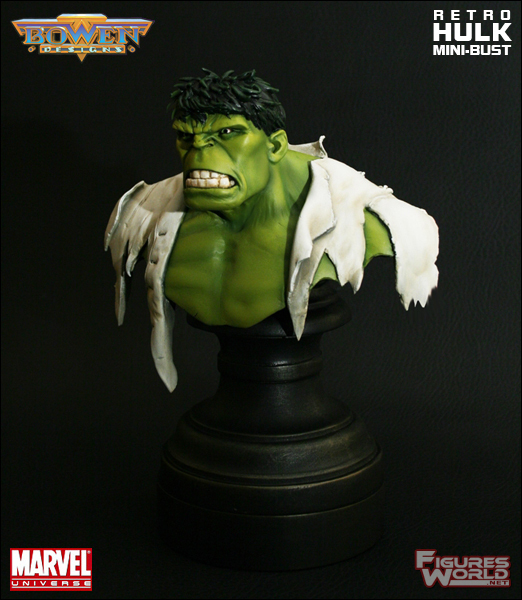 This museum quality collectible is the perfect addition to any Marvel collection!